Have you ever wanted to travel to a place where you can have a new and exciting experience literally every day? Every minute of the day, even? When you visit Hawaii, it may seem like you have the world at your fingertips, even if, geographically, you’re just traveling to one tiny place on Earth. When you visit the Hawaiian Islands, you have choices, choices and more choices of things to do, historical landmarks to visit, cuisine to eat, incredible scenery to view and climates to experience. Depending on which Hawaiian island you choose to visit, you can enjoy mild temperatures with slight breezes, balmy rainforest-like surroundings, or even chilly atmospheres if you end up hiking to the top of one of Hawaii’s many volcanoes. Just as each one of the islands in Hawaii has its own distinct “feel” to the air, you’ll find even smaller “microclimates” on the individual islands that further the appeal and uniqueness of Hawaii as a vacation destination. In Hawaii, it’s quite possible to spend mornings trekking through a thick fog to spiritual sites, days lying on a warm, sunny beach and evenings enveloped in a delightful rain, which clears everything out for a lovely Hawaiian adventure the following day. So, besides the stunning weather in Hawaii, what else is there to do in this tropical paradise that makes it one of the best places on the planet to visit? Hawaii is the only state in America made up of a wondrous Polynesian archipelago smack in the center of the Pacific Ocean. For travelers coming from the United States, that means that you can escape to this lush oasis with little more than a plane ticket, a swimsuit and a cover-up. No visa or passports are required for US citizens to experience the wondrous island setting that is Hawaii. Foreign travelers experience pretty easy entry as well, with all travelers enjoying a sincere “aloha” welcome when they arrive. Hawaii is known for its multi-ethnic and multi-cultural community, which includes lovely people who have come from nations all over the globe. In Hawaii, you’ll meet inhabitants of Chinese, Japanese, Polynesian, Filipino and Caucasian backgrounds, as well as many more residents who each add their own special something to island life in Hawaii. All of these influences lend themselves to an ambiance that can only be experienced in Hawaii, and you’ll find hints of many different nationalities in the music, dance, art, ceremony and structures found on most of the Hawaiian Islands. Have I piqued your interest in traveling to a destination that may just be the most breathtaking in the world? Let’s talk about what there is to do on the green and gorgeous islands that make up the state of Hawaii. It doesn’t matter if you’re single, part of a couple or traveling with family, you’re sure to find tons of things to do and experience on each of the Hawaiian Islands. You may even find yourself begging not to leave. Whether you’re into hiking, biking, sunning, running, scuba diving, surfing, swimming or simply eating your way through your vacation, Hawaii is one place where you can have a new adventure practically any time you want. If you feel like taking a hula lesson, it’s no problem. Want to drive a windy road to a towering waterfall? You can do that too. How about uncovering the remains of a sacred burial site? It’s possible to do all of it in a day when you visit Hawaii. While there are actually eight islands that make up the chain known as Hawaii, only six of these islands are frequented by tourists, and these have the most to offer in terms of organized tours, exciting annual events, public transportation services, museums, restaurants and world-class resorts. In brief, I’ve compiled a bit of the magic that’s in store for you on each of the Hawaiian Islands. Whether you want to spend your entire vacation on just one island or hop from island to island in search of a once-in-a-lifetime experience through places unknown, you’re sure to find activities and attractions that call to you. Here is a small summary of what you can expect on the five most-visited of the Hawaiian Islands. Rest assured that there is so much more in store for you on each little slice of utopia. The Big Island is the largest island in Hawaii and is filled to the brim with all the wonders that Mother Nature bestowed upon this fertile corner of the Earth. Come to The Big Island and witness bellowing volcanoes, endless beaches of black, green and gold, picture-perfect pastures, otherworldly rainforests and even lava deserts. On The Big Island, you’ll find Mauna Kea, the tallest sea mountain on the planet. The sparkling blue waters of Kauai contrast brilliantly with its lush, green, rolling hills that cover 550 square miles of pure pleasure. You can easily lose yourself in the scenery on Kauai, and the generosity of spirit in the people who call Kauai home will truly blow you away. How does standing on top of Haleakala Crater and staring down at a billowy sea of clouds sound? How about sitting on the beach and catching a glimpse of a 40-foot whale breaching in the waves? Maui is known as “The Magic Isle,” and when you visit, you’ll see why. 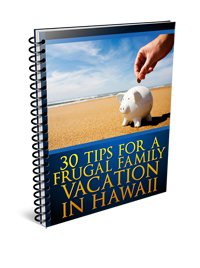 Learn more about traveling to Maui here. This Hawaiian island is where the majority of the Hawaiian people live, and it is a perfect blend of Eastern and Western cultures. On Oahu, you also have a blissful marriage of big city and laid-back tropical isle, with modern and ancient eras meeting in ways that are absolutely awe-inspiring. When you visit Molokai, you’ll discover the rich and unspoiled landscape that is characteristic of Hawaii, perhaps more so than on any other island. On Molokai, you can live like the locals, take a four-wheel drive on an adventure of a lifetime or view the towering 1,700-foot high cliffs that lead to Kalaupapa National Historical Park. 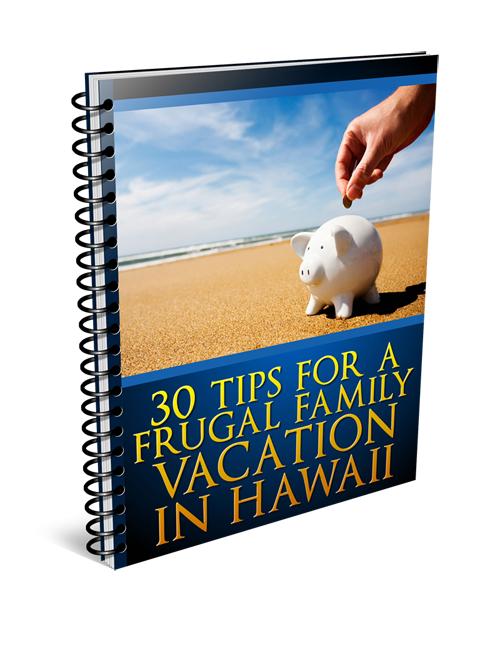 Ready to book your Hawaiian vacation? Book with Hawaiian Airlines! Since 1929, they’ve been providing world-class travel so that your vacation starts the minute you board the plane! Whichever island or islands you visit and however you decide to enjoy your vacation, you’ll have a thrilling and memorable time. Hawaii is truly the ultimate vacation destination.